Kiwi! Tribute is pretty basic - it's just a Unity-powered endless runner with three lanes horizontally and three levels vertically. Try and get as far as you can, collecting stars until your tiny New Zealand bird hits something. 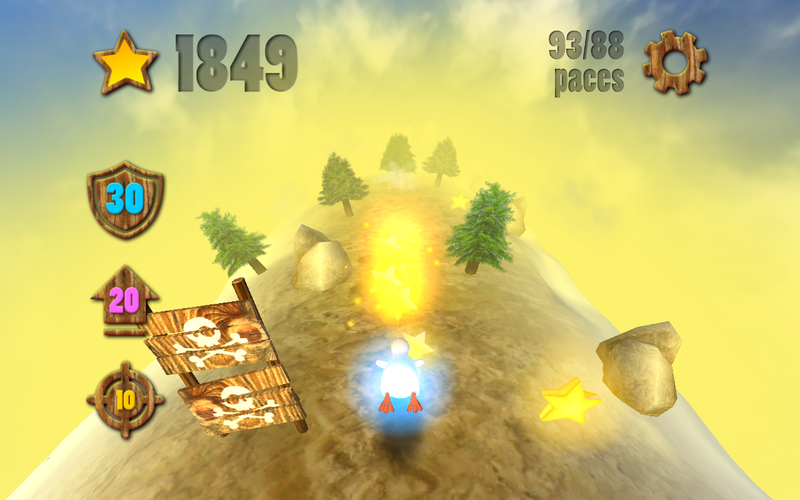 Special stars let you smash through obstacles. That's it. The beauty lies in the fact that players get to live the dream of the original mute character, at least until they hit a tree or a hurdle. That said, the graphics are serviceable, and the simple music from the cartoon has been preserved. A few sound and language settings fill it out, and a link to the original video is included. The only thing that's missing is the little guy's flight cap and goggles. The game has no advertising or in-app purchases, just a few links to share on Facebook to get you a small head start. It's a free download for Android devices running 2.3.3 and higher. And just because we can, here's the original Kiwi.